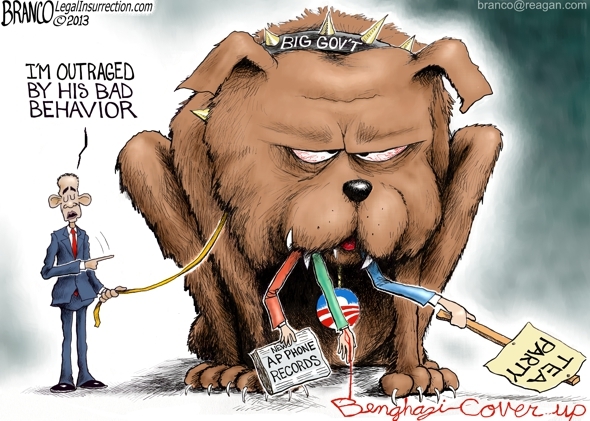 Tags: President Obama, Big Government, Benghazi, cover-up, AP Phone records, IRS, TEA Party, conservative groups, scandals, AF Branco, editorial cartoon To share or post to your site, click on "Post Link". Please mention / link to the ARRA News Service. Thanks! "Targeting organizations for special scrutiny on the belief that they might exercise their First Amendment protected rights to engage in political activity in is an egregious violation of the freedom of speech. If it had been done consistently for groups of all stripes. it would not have made it better." — ALG President Nathan Mehrens. Americans for Limited Government - Fairfax, VA: In testimony before the House Ways and Means Committee, outgoing Internal Revenue Service (IRS) Commissioner Steven Miller suggested that the targeting of tea party and other groups was in part caused by Congress' failure to provide "clear rules" on what constitutes political activity. "With respect to political activity, it would be a wonderful thing to get better rules," Miller said, stating the rules needed to be "more clear." But those rules are already clear, Americans for Limited Government President Nathan Mehrens noted. "IRS rules already stipulate that political activity is electioneering, that is, express advocacy for or against a candidate standing for public office and direct contributions to candidates or candidate committees. And it is already clear based on IRS rules that 501(c)(4) organizations are allowed to engage in a limited amount of political activity provided it does not constitute a majority of its activity, plus an unlimited amount of lobbying and issues advocacy, that is, advocacy in favor or against legislation or regulations or court rulings, provided that it furthers its tax-exempt function," Mehrens stated. "Miller may not agree with those rules, but to suggest they are not clear is incorrect," Mehrens explained. Miller explained the targeting: "What happened here was someone saw some tea party cases come through. They were acknowledging that they were going to be engaged in politics. This was the timeframe in 2010 when Citizens United was out. There was a lot of discussion in the system about the use of (c)(4)s."
Except, Citizens United clarified that organizations are allowed to engage in politics, Mehrens explained. "If anything, Citizens United made things more clear, not less. The Supreme Court simplified the rules and stated that organizations have a First Amendment right to engage in political activity, period." Miller continued in his testimony, explaining the process for centralizing these cases: "People in Cincinnati decided let's start grouping these cases, let's centralize these cases." This meant quarantining the applications and sending them to Exempt Organizations (EO) Technical, based in Washington, D.C. for special scrutiny. "The way they centralized it, troublesome. The concept of centralization, not," Miller said, suggesting that targeting political activity of groups was permissible. Elsewhere in testimony, he agreed that the agency was targeting political activity: "the litmus test if anything was political activity." Mehrens blasted the practice, "The IRS processes thousands of tax-exempt applications a year that engage in issues advocacy, lobbying, and yes, political activity without any hassle or special scrutiny. They are allowed by law to engage in these activities. Yet, these tea party cases were selected for special scrutiny. This created inconsistency in the processing of applications, when the revenue procedures state that centralization is supposed to establish uniformity. 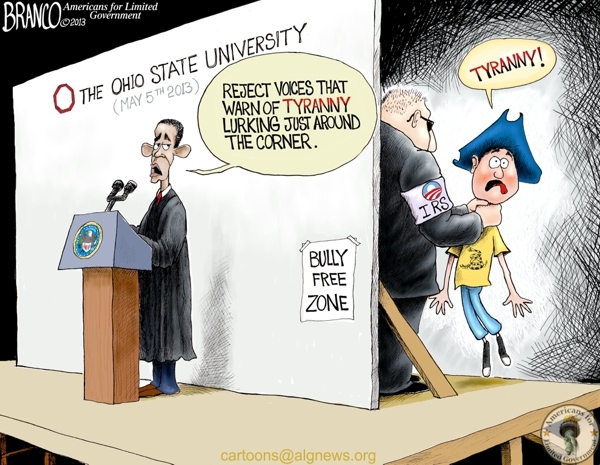 Liberal groups doing the same thing as tea party groups were not centralized." But, even if liberal groups had been targeted too would not have helped, Mehrens added, "Targeting organizations for special scrutiny on the belief that they might exercise their First Amendment protected rights to engage in political activity in is an egregious violation of the freedom of speech. If it had been done consistently for groups of all stripes would not have made it better." Miller suggested the practice was "not illegal," but Mehrens said, "Of course it was illegal. These actions violated the First Amendment to the Constitution which is the 'supreme Law of the Land'." Tags: Internal Revenue Service, IRS, Commissioner Steven Miller, IRS Rules, 501(c)(4), political activity, Citizens United, House hearings, Americans for Limited Government, Nathan Mehrens To share or post to your site, click on "Post Link". Please mention / link to the ARRA News Service. Thanks! by Ken Blackwell, Contributing Author: John F. Kennedy as a candidate liked to tweak his opponent, Richard Nixon. When the Wall Street Journal criticized Republican Nixon, Kennedy jumped on it. “That’s like L’Osservatore Romano criticizing the Pope!” The press corps knew that that Italian newspaper was the house organ of the Vatican. They loved the fact that Catholic Kennedy was throwing such a witty jab at Nixon. So, we all need to pay attention when MSNBC’s Chris Matthews criticizes President Obama. That’s like L’Osservatore Romano kniocking the Pope. Matthews was the kennel master for the lapdogs of the Obama media. He said in 2008 that he “felt a thrill going up my leg” whenever Mr. Obama spoke. "What part of the presidency does Obama like? He doesn't like dealing with other politicians -- that means his own cabinet, that means members of the congress, either party. He doesn't particularly like the press.... He likes to write the speeches, likes to rewrite what Favreau and the others wrote for the first draft," Matthews said. President Passer-by, however, was not joining the fray. Carney repeated Obama’s assertion that the IRS’ actions would be outrageous only if they are true. Never mind that the IRS has already admitted the violations and apologized. 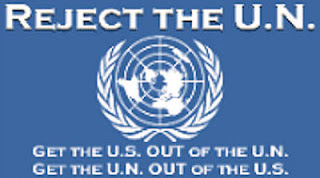 (Tuesday night, Obama issued a statement saying he had seen the inspector general’s report and directed Treasury Secretary Jack Lew “to hold those responsible for these failures accountable.”)It’s especially apt that the IRS apparatchiks chose to go after conservative and TEA Party groups, especially those that mentioned “constitution” and “liberty” in their mission statements. That quote, of course, is from America’s mission statement, the Declaration of Independence. It refers to that hands-off manager, King George III, and his abuses of power. New Offices? How about the Independent Payment Advisory Board? This unelected, unaccountable body was created under Obamacare to decide whether you really need that heart bypass — when you are 82. For enforcement of Obamacare’s myriad requirements, the president has chosen none other than the IRS. He wants another 16,000 agents to harry and harass you and eat out your substance. They will look over all your papers and effects, and hover over you while Mr. Obama is just passing by. If you think this IRS scandal is serious — and we do — just imagine what President Obama will do with another army of snoopers to swarm you. Tags: formula, abuse of power, Obama administration, IRS, Ken Blackwell To share or post to your site, click on "Post Link". Please mention / link to the ARRA News Service. Thanks! The Senate was not in session today and will reconvene on Monday at 2 PM, when it will take up S. 954, the farm bill. Yesterday, the Senate voted 97-0 to confirm MIT professor Ernest J. Moniz to be Secretary of Energy. The House was in session this morning voting on Amendments to and passing HR 1062 (235-161) — "To improve the consideration by the Securities and Exchange Commission of the costs and benefits of its regulations and orders." Amendments approved prior to the passage of the bill were: Sessions (R-TX) Amendment No.1 (voice vote) – Mandates that assessment plans required under this Act include analysis of any jobs added or lost as a result of the regulation, differentiating between public and private sector jobs. Hurt (R-VA) Amendment No.2 (233-163) – Expresses the sense of Congress that rules adopted by the Public Company Accounting Oversight Board (PCAOB) comply with the same standards required of the SEC. Requires the SEC to ensure that any rules adopted by the Municipal Securities Rulemaking Board (MSRB), and other national securities associations comply with the standards set forth in the bill. The major event of the day, was The House Ways and Means Committee initial hearing to investigate the Internal Revenue Service’s (IRS) admitted practice of targeting conservatives and political opponents of President Obama. Committee Chair, Rep. Dave Camp (R-MI) opened the hearing stating:On May 10, 2013, Lois Lerner, Director of Exempt Organizations for the Internal Revenue Service (IRS) division that oversees tax-exempt groups, finally acknowledged that the agency had been targeting conservative-leaning political organizations. 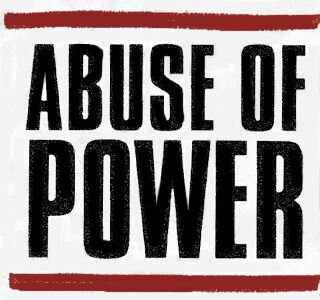 Four days later, the Treasury Inspector General for Taxpayer Administration (TIGTA) confirmed that, “the IRS used inappropriate criteria to identify organizations applying for tax-exempt status.” The report also confirmed that this abuse of power began as far back as 2010. This revelation goes against the very principles of free speech and liberty upon which this country was founded. The blatant disregard with which the agency has treated Congress and the American taxpayer raises serious concerns about leadership at the IRS. Let’s establish the facts that we do know. Based on the TIGTA report we know that for an 18-month period beginning in Spring 2010, IRS employees in the agency’s Determinations Unit employed keywords such as “tea party,” “patriot,” and “9/12” to target applicants for tax-exempt status. These groups were then subjected to further IRS investigation and document requests. These Americans had their applications delayed for nearly three years, and at least 98 applicants were asked for improper and inappropriate information such as donor lists and whether family members planned to run for public office. TIGTA’s audit found that some of those cases should have been set aside because of concerns related to their potential political activity, but no such review was done. Without objection, I enter the USA Today news report into the record. This week, we learned that senior IRS officials knew about this activity almost two years ago, in June 2011, and IRS’s leadership in Washington knew of it in May 2012 – a year ago. Despite a two-year long investigation by this Committee, the IRS never told the American people or their representatives about this simple truth. In fact, we were repeatedly told no such targeting was happening. That isn’t being misleading, that is lying. But now, we know the truth – or at least some of it. We also know that these revelations are just the tip of the iceberg. It would be a mistake to treat this as just one scandal. This may be the one generating headlines, but in total I count at least five serious violations of the taxpayers’ right to be treated fairly, honestly and impartially by their government. First, back in August of 2010, a "White House official" discussed the tax status of a private company – a clear intimidation tactic. Second, in June 2010, the targeting of conservative groups began. Third, in May 2011, the IRS started to threaten donors to conservative leaning non-profits that they were liable for certain taxes. Fourth, in March of 2012, the Huffington Post published the confidential 2008 donor list of the National Organization for Marriage, a conservative tax-exempt organization. And fifth – but unlikely the final transgression – ProPublica announced that the IRS had leaked confidential applications for tax-exempt status from conservative groups. Mr. Miller, with all due respect, this systemic abuse cannot be fixed with just one resignation. And, as much as I expect more people need to go, the reality is this is not a personnel problem. This is a problem of the IRS being too large, too powerful, too intrusive and too abusive of honest, hardworking taxpayers. There isn’t a person I come into contact with back home – or anyone in this country frankly – who does not fear the IRS. They fear getting something wrong on their tax filings. And, they fear the IRS’ ability to audit them and wreak havoc in their lives. Especially when all they are trying to do is improve their lives, let alone, God forbid, trying to “make America a better place to live,” which is what the IRS targeted them for. Under that kind of thinking, every civic group in America is at risk – the Knights of Columbus, the Rotary, the JC’s, the American Legion and VFW clubs. I’m sure you’re aware of the saying that the power to tax is the power to destroy. Well, under this Administration, the IRS has abused its power to tax, and it has destroyed what little faith and hope the American people had in getting a fair shake in Washington. This will not stand. Trimming a few branches will not solve the problem when the roots of the tree have gone rotten. And, that is exactly what has happened with our entire tax system – it is rotten at the core, and it must be ripped out so we can start fresh. Only then will the American people get a tax system that treats them fairly and honestly, as they deserve. Why did the IRS repeatedly target the American people and then keep that fact covered-up for so long? Who started the targeting, who knew, when did they know and how high did it go? Who leaked private taxpayer information? Why were the names of donors asked for, and what was done with those lists before they were supposedly discarded? When did the Administration know about each of these, and what was its reaction? Listening to the nightly news, this appears to be just the latest example of a culture of cover-ups – and political intimidation – in this Administration. It seems like the truth is hidden from the American people just long enough to make it through an election. The American people have a right to the truth, to a government that delivers the facts, good or bad, no matter what. President Obama promised to be different and to deliver a better government, the most transparent in history. He was right. America deserves better. It is time to end the corruption at the IRS and fix a tax code that allows Washington and the IRS to pick who wins and who loses in America. I expect nothing less than total cooperation by the IRS and this Administration as we investigate what happened and what we must do to fix it. USA Today noted, "The panel's top Democrat, Rep. Sandy Levin, D-Mich., said he, too, wanted to find out why the IRS targeted conservative groups for extra scrutiny, and that IRS officials responsible should be fired. But he took exception to the injection of campaign politics into the hearing. 'If instead this hearing becomes an effort to score political points, it will be a disregard of the duties of this committee,' he said." USa Today also noted, "The agency's chief watchdog testified Friday that the Internal Revenue Service has not fully addressed the problems that led it to improperly subject Tea Party and other conservative groups to extra scrutiny. 'We do not consider the concerns in this report to be resolved,' Treasury Inspector General for Tax Administration J. Russell George said." David Weigel at Slate noted "By general acclimation, the greatest Moment from today's battering of the IRS (with an assist from the bored, doomed outgoing acting commissioner) came when Pennsylvania Rep. Mike Kelly went buck wild. After pressuring the witness a few times and getting non-answers, Kelly finally just went on a tirade about the IRS, the "monster under the bed," the force that terrifies hard-working Americans. When he finished, Kelly earned spontaneous applause from the public seats." Tags: House, Ways and Means Committee, oversight, IRS, abuse of conservatives To share or post to your site, click on "Post Link". Please mention / link to the ARRA News Service. Thanks! By Daniel Foster | National Review: Mitch McConnell had a problem. He needed to give President Obama, the man he had publicly vowed to make a one-term president, a nominee for the Legal Services Corporation. By law, the LSC, a Nixon-era 501(c)(3) tasked with providing legal aid to low-income Americans, had to be bipartisan; no more than six of its eleven members could belong to one party. By tradition, it fell on McConnell, as the senior member of the opposition in the Senate, to provide the president with a list of Republican names. The trouble was that, as is often the case with putatively bipartisan bodies, the posts required nominees to meet certain ostensibly nonpolitical criteria that by their nature all but rendered the posts partisan carve-outs. In this case, McConnell needed to find a Republican who was “income eligible” for the available seat, meaning someone who earned less than 130 percent of the federal poverty line, which came out to a little over $14,000 a year. So where on the fruited plain did Mitch McConnell find a competent, dedicated conservative lawyer without two nickels to rub together? As it turns out, in a rectory. Enter Father Pius Pietrzyk, a Dominican parish priest who happened to be a University of Chicago Law School graduate and a stalwart member of the Federalist Society. After practicing corporate and securities law at a big Chicago firm for three years, Pietrzyk left in 2002 to pursue a calling he found more meaningful. He was ordained a priest in the Catholic Church in 2008. As a Dominican, he took a vow of poverty. And in 2010, President Obama nominated him, and the Democratic Senate confirmed him, to the LSC board of directors. There he sits next to board chairman John G. Levi, another Chicago lawyer (albeit with a significantly higher net worth), whose greatest claim to fame might be that he hired young Michelle LaVaughn Robinson and Barry Obama in the late 1980s. Now, placing a ringer on an out-of-the-way board might not be the equivalent of repealing Obamacare or flipping the Senate, but in McConnell’s world it was a real win in the war of attrition that Republicans are quietly fighting inside what you might call the Other Government: namely, the bureaucratic state comprising more than 100 bipartisan boards and commissions created by Congress to regulate everything from Wall Street to farm credit, the post office to nuclear safety, Social Security to federal elections. Many of these bodies are exactly as obscure as you are thinking. (Wikipedia helpfully tells me that the Commission on Key National Indicators, for instance, works with the National Academy of Sciences to “review research on the selection of a set of key national indicators [and] determine how to implement and establish a key national indicator system.”) But others are big-deal, big-government bureaucracies with familiar abbreviations such as SEC, FTC, FCC, FDIC, and NLRB. And because there isn’t a Republican in the White House, it falls on McConnell to fill their Republican slots. Not so with McConnell. According to a number of sources inside the Senate Republican shop, McConnell saw Obama’s comfortable victory in 2008, and the Democrats’ daunting majority in the upper chamber, and knew he had to find creative ways to conduct asymmetric political warfare. On the legislative side, that meant first and foremost keeping Republicans unified against the president’s agenda, especially by ensuring that they kept their hands off Obamacare — a strategy whose overall success was marked by four years of liberals’ complaints about Republican intransigence. On the regulatory side, it meant scrapping the view that appointments are opportunities to do favors for your colleagues, and instead searching every nook and cranny of the country for sharp conservatives to take little-heralded but critical regulatory jobs. Schneider operates according to a set of five criteria for screening potential nominees first developed by E. Pendleton “Pen” James, Ronald Reagan’s director of personnel management. First, were the nominees competent in the subject matter? Second, were they philosophically compatible with Senator McConnell? Third, did they possess high character and integrity? Fourth, were they tough? Fifth, were they team players? The result, two or three hundred appointees later, is measurable. Take the LSC, where not just Father Pius but four other McConnell-Schneider picks were confirmed and are serving. Among them is Sharon L. Browne. Browne was principal attorney for California’s Pacific Legal Foundation (PLF), one of the oldest conservative/libertarian public-interest law firms in the country, formed in part by veterans of Reagan’s gubernatorial administration. As president, Reagan had tried and failed to get a PLF lawyer on the LSC. But McConnell succeeded in seeing Browne through, even though her nomination was hotly opposed by the American Bar Association, no doubt in part because she successfully sued the California Bar in 1995, forcing them to settle on a claim that they had taken funds reserved for poverty programs and used them for political operations. She brought that fight to the national level, and together with McConnell’s other picks, she got enough Democrats on board to promulgate a regulation making legal-service grantees financially liable for spending grant money on political advocacy instead of what it was intended for. On the Federal Deposit Insurance Corporation, which went from sleepy New Deal installation to big-time regulator after Dodd-Frank, McConnell installed Tom Hoenig, the former president of the Kansas City Fed and a famed inflation hawk. In the lead-up to the financial crisis, Hoenig voiced concerns about the banking system. In its aftermath, he urged the government not to bail out equity holders. He later opposed Henry Paulson’s interventions, the Bush and Obama bailouts, and Dodd-Frank. On the Federal Trade Commission, McConnell handed Obama the name of Josh Wright, a holder of both a Ph.D. in economics and a J.D. and widely considered his generation’s greatest mind on antitrust law. Before his confirmation, Wright had been highly critical of the FTC’s exceedingly thin two-year antitrust investigation of Google’s search-engine practices. Seventy-two hours after his confirmation to the FTC board, the investigation was dropped with minimal consequence for Google. Then there is Chris Beall, an infrastructure expert whose first job was building natural-gas pipelines for the Koch brothers and who had spent most of the rest of his career in finance, privatizing dozens of public utilities. On McConnell’s recommendation (and, one assumes, to Joe Biden’s lament), Obama nominated Beall — the man who built climate-change conduits for the Co-Princes of Darkness — to the board of directors of Amtrak. The list goes on. It is populated by individuals with both expertise and conservative pedigrees, in many cases already known for advocating the sorts of causes that annoy the White House — and who nevertheless were formally nominated by the White House. McConnell values this list not just because it stocks bureaucratic Washington with Obama opponents, but also because it constitutes a farm team for the next Republican administration, credentialing conservatives, many of whom have not had government experience, to take more senior roles once the GOP returns to Pennsylvania Avenue. Of course, nomination negotiations between the Senate and the White House have always been a little like Cold War spy exchanges — you give us our two NLRB guys and we’ll give you a judge; two under secretaries for an FCC commissioner and a player to be named later; and so on — but McConnell’s innovation has been to stack his side of the trades with as many Jason Bournes and James Bondses as he can, where his predecessors might have stacked them with congressmen’s nephews and senators’ golf buddies. And while a few appointments to commissions with Democratic majorities aren’t going to undo the progressive agenda all by themselves, they can prevail in the right spots, and gum up the works in others. Daniel Gallagher, a longtime SEC staffer and regulatory expert whom McConnell tapped to return as one of five SEC commissioners after a stint in the private sector, is a good example. In at least two instances, Gallagher convinced Democratic SEC commissioners to flip their votes on major regulations, ensuring their defeat in favor of Republican alternatives. In other cases Gallagher merely stymied former Democratic SEC chairwoman Mary Schapiro, capturing more ink in the financial pages and industry tip sheets and coordinating dissenting opinions on regulations that courts later relied on in overturning them. According to one source familiar with the dynamics of the SEC, Gallagher was generally “running circles around” the Democratic commissioners. And while that is not measurable in every instance, he asks me to consider a counterexample. “There is not a bipartisan health-care board,” he says. “Consequently, we have 20,000 pages of regulations on the implementation of Obamacare. This matters.” Indeed, the eight-foot-high paper stack, printed out and wheeled around the Capitol on a hand truck as a clever, if unwieldy, political prop, was at that moment standing just a few rooms over in McConnell’s reception area. I spoke to several individuals who are part of Schneider’s kitchen cabinet — think-tankers and public-policy professionals whom he regularly consults when headhunting nominees. They agreed that the biggest effects of McConnell’s appointment strategy are likely “ecological” and “cumulative.” The Hudson Institute’s Tevi Troy, who frequently huddles with Schneider on picks, even joked that he regretted this story was being written, since he thought McConnell was doing “brilliant” work; he didn’t want the other side to take notice. Tags: Obama administration, Mitch McConnell, Senator, Kentucky, Senate Republican Leader, appointments To share or post to your site, click on "Post Link". Please mention / link to the ARRA News Service. Thanks! Flashback: President Obama Formerly Called Recess Appointments ‘The Wrong Thing To Do,’ And Senior Democrats Have Argued They Are An ‘Abuse Of Power, Mischievous And Troubling’ Now Appeals Courts Agree: President Obama's Recess Appointments Are Unconstitutional. Washington, D.C. — “For the second time this year, an appeals court reaffirmed what Republicans and job creators around the country have been saying: the President’s attempt to circumvent the Senate with a supposed ‘recess appointment’ to the NLRB was made outside the law,” Senate Republican Leader Mitch McConnell said. 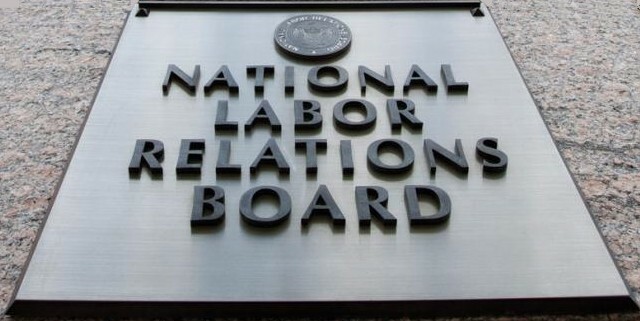 In its ruling today (NLRB v. New Vista Nursing and Rehabilitation), the Court found that the President’s action resulted in a nominee being “invalidly recess appointed to the Board during the March 2010 intrasession break” and therefore “vacate[d] the [NLRB’s] orders” in the New Vista case. Tags: US. Circuit Court, NLRB v. New Vista Nursing and Rehabilitation, Pesident Obama, Recess appointment, unconstitutional, unlawful appointees, Mitch McConnell To share or post to your site, click on "Post Link". Please mention / link to the ARRA News Service. Thanks! ARRA News Service: The House passed H.R. 95 by a vote of 229-195 — "To repeal the Patient Protection and Affordable Care Act and health care-related provisions in the Health Care and Education Reconciliation Act of 2010." Two Democrats joined 227 Republicans i voting for repeal while 195 Democrats voted to keep this oppressive bill. Nine Representatives (4 Democrats and 5 Republicans) did not vote. This is the third time the Republican-led House has voted to fully repeal the president’s health care law since 2011. President Obama has signed several other bills that repeal or defund parts of the law -- you can see a list of those bills here. House Speaker John Boehner (R-OH) released the following statement after the House passed H.R. 45, fully repealing and defunding the president’s health care law:“This is all about jobs. The president’s health care law is already undermining our economy -- employers are cutting workers and cutting hours, costs are going up, and even Democrats are worried the whole thing is headed for a train wreck. There are also serious concerns about whether the IRS should be involved in our health care at all, let alone as the law’s chief enforcer. Fully repealing ObamaCare will help us build a stronger, healthier economy, and will clear the way for patient-centered reforms that lower health care costs and protect jobs. This is a good, common-sense bill, and I thank Congresswoman Bachmann for her leadership in bringing it to a vote today.”Republican Study Committee Chairman Steve Scalise (R-LA) commented:“To make matters even worse, leading the way in the enforcement of Obamacare is the IRS, which lost any degree of impartiality or credibility by illegally targeting Americans who dared to oppose political beliefs of the Obama Administration. Every day I hear horror stories from families and small businesses in southeast Louisiana about how Obamacare is leading to higher costs, loss of jobs, and in many cases the loss of health care for people who liked the plans they had. It is time to completely repeal this law, and get to work on the common sense reforms that lower health care costs and fix real problems like preventing discrimination against people with pre-existing conditions.”It is doubtful that Senate Leader Harry Reid (D-NV) will allow a vote on H.R. 45 in the Senate or that if a vote were allowed few if any Democrats would break ranks and vote to real Obamacare even though Democrats have said that the Affordable Health Care Act (Obamacare) is a "train wreck" waiting to happen. Tags: US House, votes, repeal, Obamacare To share or post to your site, click on "Post Link". Please mention / link to the ARRA News Service. Thanks! A lot of questions are being raised as a result of these revelations and, as Speaker Boehner said at a press conference today, "This House will stop at nothing to get to the American people the answers and the accountability that they expect." The Senate and began consideration of the nomination of Ernest J. Moniz, of Massachusetts, to be Secretary of Energy. At 2 PM, the Senate is scheduled to vote on confirmation of the Moniz nomination. Senate Majority Leader Harry Reid (D-NV) has indicated he plans to bring S. 954, the farm bill, to the floor on Monday. Yesterday, the Senate voted 83-14 to pass S. 601, the Water Resources Development Act of 2013. Prior to passage, senators voted to agree to an amendment from Sen. Jeff Merkley (D-OR) and reject two amendments from Sen. Tom Coburn (R-OK). Also yesterday the Senate voted 91-7 to confirm Marilyn Tavenner as Administrator of the Centers for Medicare and Medicaid Services (CMS) and 56-41 to confirm William H. Orrick, III as U.S. District Judge for the Northern District of California. The House today will vote again on the repeal of Obamacare. The House Oversight Committee announced Wednesday that it would hold a hearing May 22, featuring Lois Lerner, the head of the IRS division that oversees tax exempt organizations, and Shulman, the former commissioner. The Senate Finance Committee announced a hearing for next Tuesday. Yesterday the House passed by voice vote H.R. 573 - To amend Public Law 93-435 with respect to the Northern Mariana Islands, providing parity with Guam, the Virgin Islands, and American Samoa. The House approved (415-1) H.R. 767 "To amend the Energy Policy Act of 2005 to modify the Pilot Project offices of the Federal Permit Streamlining Pilot Project," H.R. 701 (416-6) "To amend a provision of the Securities Act of 1933 directing the Securities and Exchange Commission to add a particular class of securities to those exempted under such Act to provide a deadline for such action," and H.R. 384 (420-3) "To establish the position of Special Assistant for Veterans Affairs in the Department of Housing and Urban Development, and for other purposes." On another important angle, Newsmax noted that the current scandal facing the Internal Revenue Service proves that the agency cannot be trusted to implement Obamacare. Tags: Washington, D.C., IRS Scandal, To share or post to your site, click on "Post Link". Please mention / link to the ARRA News Service. Thanks! There is No There There -- Is There? Tags: President Obama, scandals, No There, the press, editorial cartoon, AF Branco To share or post to your site, click on "Post Link". Please mention / link to the ARRA News Service. Thanks! Phil Kerpen, Contributing Author: “We have a large government,” political consultant David Axelrod offered as a plea of ignorance to all of the scandals swirling around his boss. “Part of being president is there’s so much beneath you that you can’t know because the government is so vast.” And yet, thanks to Axelrod and Obama, we now stand on the precipice of the largest expansion of government power in almost half a century: Obamacare, officially known as the Patient Protection and Affordable Care Act (PPACA). PPACA massively expands and empowers the same IRS that President Obama himself admits is an out-of-control agency that is being ineffectively managed by his administration. And it also creates sweeping new powers for the Department of Health and Human Services (HHS), which is being engulfed in its own scandal that, most likely, Obama will also claim to know nothing about. According to the Government Accountability Office, Obamacare creates 47 broad new tax and regulatory powers for the IRS, including taxes on individuals, employers, health insurance providers, and medical device manufacturers. Implementing these taxes and attendant regulatory requirements will mean collecting a vast amount of data, including sensitive health information. The IRS has already proven itself unworthy of such new powers. Not only in its systematic targeting of political enemies, shamefully including those groups “educating on the Constitution and Bill of Rights,” which was supposed to be a fix to early targeting based on the words “tea party” and “patriot.” These groups were, illegally, asked to reveal their membership lists and answer detailed intrusive questions. And while hundreds of conservative groups opposed to PPACA and its vast expansion of IRS power were stalled for over two years, liberal groups engaging in the exact same activities were approved quickly with no questions asked. It is not an open question whether IRS abuse of power will extend to PPACA implementation; it has already happened. The same IRS commissioner, Douglas Shulman (a Democrat originally appointed by President Bush and retained by President Obama) who told Congress falsely, “There’s absolutely no targeting,” also spearheaded an illegal IRS rulemaking that effectively blocks states from exercising their lawful right under PPACA to opt out of the law’s vast new taxpayer-funded subsidies and employer penalty taxes. So the same IRS that steamrolled political opponents is already overstepping its new health care powers to steamroll states. And the IRS is also, in a separate lawsuit, accused of illegally seizing 60 million private health record of 10 million individuals. Meanwhile, the other lead agency in PPACA implementation has its own scandal. HHS Secretary Kathleen Sebelius has been calling corporate CEOs and shaking them down for donations to a left-wing group called Enroll America to aggressively promote PPACA and urge people to sign up for the law’s new entitlement program. Her actions violate several federal laws, and any other week it would have been a lead story instead of relegated to the number four scandal slot. And while Sebelius is dialing-for-dollars, she is also reallocating money from a slush fund created by the law toward public relations and political activity instead of using it to help people with preexisting conditions. About 40,000 people with preexisting conditions will go without any coverage this year because Sebelius chose to end enrollment in the federal Preexisting Condition Insurance Plan in order to instead fund TV advertising and grants to lobbying groups. So HHS is abusing taxpayer dollars as well as shaking down private citizens for coerced donations, all to maximize spending on their political push to build support for the unpopular law, instead of actually helping sick people. The scandals will only get worse. Government is already, by David Axelrod’s admission, too vast for the president to understand, let alone effectively manage. 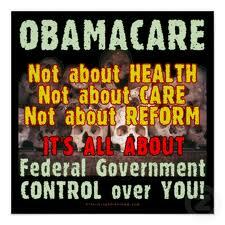 And it is spinning further out of control, with the health of the American people in the balance. 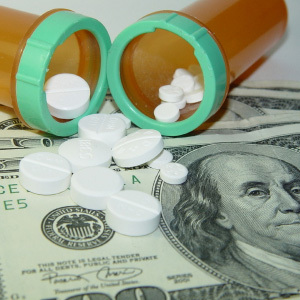 Health care is simply too important to subject to politics and bureaucratic manipulation. It’s time to repeal PPACA and start over with real health care reform that empowers patients and doctors, not the IRS and HHS. © 2013 Phil Kerpen is president of American Commitment and the author of Democracy Denied: How Obama is Bypassing Congress to Radically Transform America – and How to Stop Him. Phil Kerpen is a contributing author for the ARRA News Service. Tags: Phil Kerpen, American Commitment, IRS, Internal Revenue Service, scandals, HHS, Department of Health and Human Services, Obamacare, Patient Protection and Affordable Care Act, PPACA, repeal PPACA To share or post to your site, click on "Post Link". Please mention / link to the ARRA News Service. Thanks! Alan Caruba, Contributing Author: How is it that, time and again, the most powerful man on the planet doesn’t seem to have a clue what is happening in his own government? 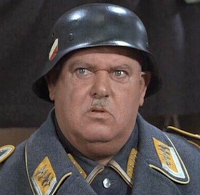 Famed for never accepting blame for anything, the more I see President Obama these days, the more I am reminded of Sergeant Hans Schultz of the TV sitcom, “Hogan’s Heroes”, that ran from 1965 to 1971. The wonderful Hans Banner the actor who played the prisoner of war guard left an indelible legacy with his repeated denials, “I know nothing. I hear nothing, and I see nothing”; often all three at the same time to avoid being implicated in Col. Robert E. Hogan’s manipulation of Werner Klemperer’s Col. Wilhelm Klink, the camp commandant of Luftwaffe Stalag 13. 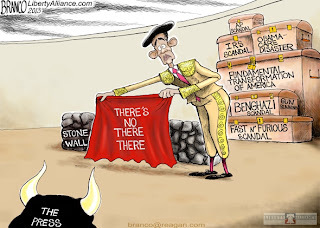 Obama’s way of dealing with everything has been to talk it to death and he has been responding to questions from the press, claiming that the accusations are all “a sideshow” or that “there’s no there, there.” It is not working. In the case of Benghazi-Gate, his lies are so blatant that it has gone from an embarrassment to a full-fledged cover-up. who claimed to know everything. Humm - maybe there is a relationship! Similarly, the Attorney General, Eric Holder, has relied on claiming ignorance and putting distance between himself and his Department of Justice’s increasing list of scandals, from Fast and Furious that earned him a citation for contempt of Congress in June 2012 for his lack of candor. 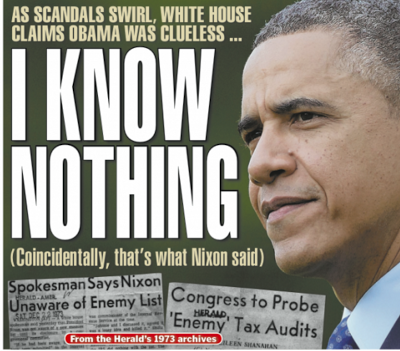 His latest “I know nothing” testimony regarding the DOJ’s seizure of the phone records of Associated Press editors and reporters makes one wonder why the President continues to retain him in office or, for that matter, why he isn’t in jail for stonewalling about Fast and Furious, an ATF gun-running scheme that got a border patrol and ICE agent killed. Those of us who follow the President closely know that he has been lying consistently before and since being elected--twice. His two “memoirs” have been picked apart by reporters who have written their own books on the subject. It would appear that Obama picked up the habit of lying early on in life as the son of a Kenyan who had abandoned his mother, the step-son of an Indonesian whom his mother also divorced, and a man who remarkably was a friend or associate of a long list of shady characters you might more likely find in a detective novel. He dismissed his close friendship with former 60s Weatherman terrorist, Bill Ayers, as someone who lived in his Chicago neighborhood. He had to throw his longtime pastor, Jeremiah Wright, under the bus when it became known he said many bad things about America over the course of the many years Obama was a member of his church. The man who conducted Obama’s wedding and christened his children said of 9/11, “the chickens have come home to roost” as if it was America’s fault it was attacked. Even so, this is small potatoes compared to the way the many “renewable energy” companies received billions in government loans and rapidly went bankrupt. It turned out that many of the many of the men who created those companies where major “bundlers” and contributors to his 2009 presidential campaign. Of the most famous bankruptcy, Solyndra, Obama said, “That was not our program, per se. Congress-Democrats and Republicans—put together a loan guarantee program…” Maybe so, but we have not seen such a program lose so much money in such a short time, betting on solar and wind power projects. The taxpayers got stuck with the bill. The number of actual “green” jobs ended up costing over a million dollars each to create. Of his failed “stimulus” package, Obama said “Apparently there weren’t as many shovel ready jobs as we thought.” Before spending millions to allegedly revive the economy, you are supposed to know such things. If not Benghazi-Gate, than the IRS targeting of conservative, patriot, and constitution education groups could provide the fulcrum to bring down Obama’s presidency. Despite his denials of knowledge about the program within the IRS to harass and deny these groups non-profit status, vital to raise donations and funding, and the firing of the IRS commissioner, this is a scandal with which ordinary taxpayers can identify, fearful of audits. Imagine now as the realization sinks in that it is the IRS that will be administering Obamacare! Up to now Obama could count on the mainstream media to ignore much of the blunders, failures and lies that characterized his first term, but the scandals coalescing as his second term begins have a weight that includes the growing unhappiness of the White House press corps who are tired of being lied to or having to listen to press secretary Jay Carney speak to them as if they were a bunch of witless clowns. It is said that “the fish stinks from the head” and what we are witnessing is an administration whose corrupt political practices have seeped deep into the government agencies for which Obama is responsible. It is still too soon to know which scandal or combination of scandals will bring down his presidency, but it will only take a few more eye-witnesses and whistle-blowers to turn Obama into the Wizard of Oz, hiding behind the curtain and pulling the levers to fool Dorothy and her pals or, in our case, those of us who still believe laws should be obeyed and power should not be abused. Tags: President Obama, scandals, Know Nothing, Sergent Schultz, op-ed, Alan Caruba To share or post to your site, click on "Post Link". Please mention / link to the ARRA News Service. Thanks! The Washington Posts reports: "President Obama on Wednesday demanded and accepted the resignation of the acting commissioner of the Internal Revenue Service, Steven T. Miller, as part of a multi-pronged effort to quell controversies that threaten to dominate his second term. Tags: IRS Drirector, resigns, To share or post to your site, click on "Post Link". Please mention / link to the ARRA News Service. Thanks! In February 2012, Tea Party organizations reportedly received letters from the regional IRS office in Cincinnati, demanding hundreds of pages of documents with little indication of the criteria being applied. On June 15, 2012, Sen. McConnell spoke on the issue at the American Enterprise Institute (video here), singling out the IRS actions for special criticism. On June 15, 2012, Sen. McConnell published an op-ed in POLITICO. On June 18, 2012, Sen. McConnell joined a letter with ten other GOP senators to IRS Commissioner Shulman, reiterating their concerns with the IRS’s inquiries and stressing that Congress has made privacy the rule not the exception. Tags: IRS, Chief, resigns, Mitch McConnell, repsonds To share or post to your site, click on "Post Link". Please mention / link to the ARRA News Service. Thanks! McConnell: IRS Actions Part Of Administration Acting As‘Speech Police; Boehner: Who's going to jail over this scandal? Today in Washington, D.C. - May 15, 2013. The House is in session but most bills to be considered are administrative in nature. Any bills completed will be noted in tomorrow's report. The House Ways & Means Committee will hold a hearing to investigate the IRS this Friday at 9:00 AM ET, and the Oversight & Government Reform Committee will hold a hearing next Wednesday. Yesterday, the Senate rejected two amendments to S. 601. The Senate resumed consideration of S. 601, the Water Resources Development Act of 2013. Today they voted 83-14 to pass S. 601, as amended. The Senate began consideration of the nominations of Marilyn Tavenner to be Administrator of the Centers for Medicare and Medicaid Services (CMS) and William H. Orrick, III to be U.S. District Judge for the Northern District of California. They will vote on confirmation of the Orrick and Tavenner nominations later today. In committee, Senate democrats are ramming through an Amnesty bill to bring to the floor for a vote. Writing about an interview Leader McConnell had with Larry Kudlow yesterday, CNBC notes, “McConnell said the limitations on free speech extended beyond the IRS, including the Department of Health and Human Services, the Securities and Exchange Commission and the Federal Communications Commission. ‘The Department of Health and Human Services, during the Obamacare debate, issued a directive to the health insurance companies telling them they could not say to their policy holders what their objections were to Obamacare,’ . . . Tags: Washington, D.C. scandals, IRS, To share or post to your site, click on "Post Link". Please mention / link to the ARRA News Service. Thanks! by Ralph Benko, Contributing Author: Janet Napolitano, Secretary of the Department of Homeland Security, is on the list of potential Democratic presidential candidates compiled by the extraordinarily astute Prez16.com. As a cabinet secretary (and as a potential, if dark horse, presidential nominee) Madame Secretary should refrain from slurring the Drudge Report, as recently she did, a slur Drudge, confidently, featured. Drudge is no fan of Napolitano. He regularly tweaks her as “Big Sis” (presumably an allusion to George Orwell’s “Big Brother”). Drudge is one of the most powerful — and widely respected — forces in the news business today. It suggests a kind of, well, Obamaesque clueless snobbishness to disparage him. The Washington Examiner reported an exchangebetween the astute Rep. Jeff Duncan, R-SC, and Secretary Napolitano at a recent Congressional hearing:“You know, when Forbes magazine or Drudge or some reputable news sources start to repeat the numbers … the numbers cease to become Internet rumors, and they start having some credibility,” Duncan said questioning the “long delay” from the DHS to clarify the numbers. “I will tell you, we found it so inherently unbelievable that statements would be made, it was hard to ascribe credibility to them,” Napolitano said, suppressing a bemused smile, adding that, “I don’t know if I’d put Forbes and Drudge in the same sentence.”Therein hangs a tale. Two months ago this columnist reflected in one of his weekly commentaries for Forbes.com Opinion on a little-noticed Associated Press report stating that the DHS had issued purchase orders totaling 1.6 billion rounds of ammunition. This was a story that had been circulating around the Internet for some time. AP’s fine shoe-leather reporter checked it out with DHS. DHS did not deny (or meaningfully clarify) the claim. Instead, its spokesperson attempted to justify it with a claim of doing it to get the best price. The DHS spokesperson, AP reported, stated that DHS expends 15 million rounds every year, “mostly on shooting ranges and in training exercises.” This wasn’t really reassuring. 1.6 billion divided by 15 million implies “strategic sourcing contracts” for … a 100 year supply. This simply did not add up. This could have been an opportunity for Mr. Obama to bring the left and right together. The Second Amendment protects the rights of the people, not the government. As the second-ranking right in the Bill of Rights it is designed to provide a restraint on government. And the federal government now is showing precious little restraint. Libertarians, and many conservatives, as well as (if not more than) progressives, would have no objection to the federal government doing a little (and, in the case of the Department of Homeland Security, a lot) of disarmament. For Mr. Obama to have directed scaling back these purchase orders would have been quite, well, disarming. DHS buying hundreds of millions of bullets (many, according to comments to the column by readers far more erudite than this columnist, not typically used for target practice) seems akin to Michael Bloomberg living on 20-ounce soda pops and food rich in trans fats. If Obama really wanted to change politics as usual, rather than sneer at those with whom he disagrees, he had a perfect opportunity to unite the country by scaling back the DHS ammo purchase. It was an opportunity he did not take. Only? While 750 million is a little less than half that originally reported by AP it is by no means out of scale. It is not inconsistent with “strategic sourcing” purchase orders totaling 1.6 billion (this columnist having viewed web postings credibly purporting to show such purchase orders) rounds. Ordering, even over time, 750 million rounds provides an equally compelling basis for this writer’s call for restraint. Rather than justifying, with claims of incredulity, her agency’s laxness Secretary Napolitano really should apologize. The delay in responding to a national furor bespeaks a cavalier attitude toward the citizens she has been hired to protect. When the owners of Subway — the world’s largest fast food chain — saw a wordless Facebook posting of one of their “footlongs” measuring only 11 inches they immediately issued a public commitment to rectify this. And sent out a quality control memo to all of their 38,000 outlets. DHS, by contrast, long ignored a popular outcry apparently of almost an order of magnitude larger. If Mr. Obama vaguely wonders why so much of the public so mistrusts the government there’s a little civics lesson for him, too, here. Mr. President? Contrast the laxness of a federal agency with the alacrity of Subway in responding to public opinion. Discuss. Secretary Napolitano also ought to be deeply penitent for her backhanded slur of Drudge: “I don’t know if I’d put Forbes and Drudge in the same sentence.” This columnist is proud of the Forbes brand high editorial standards and justified reputation for integrity. Forbes’s integrity does not demean Matt Drudge, who is the Walter Winchell of this era. (Drudge’s famous fedora suggested a subtle homage to Winchell.) Winchell was read by 50 million people a day, and 20 million listened to his radio show: “"Good evening, Mr. and Mrs. America from border to border and coast to coast and all the ships at sea. Let’s go to press.” The Drudge Report self-reportedly received over (a characteristic) 1 billion pageviews in the past 31 days. More views than your bullets, Madame Secretary. The pen remains mightier than the sword. It would appear that, at least in part as a result of Drudge’s attention to entirely credible reporting raising questions about DHS’s apparently extravagant ammunition purchase orders, the House Government Oversight Committee recently conducted a hearing on DHS ammo acquisition. Now the Government Accountability Office reportedly is conducting an investigation of your agency’s practices. Sen. Jim Inhofe (R-OK) and Rep. Frank Lucas (R-OK) have introduced legislation, the AMMO Act, restraining DHS. A little lesson in civics, and civility, for you, Madame Secretary. And for you, with all due respect, Mr. President. Ralph Benko is senior advisor, economics, to American Principles in Action’s Gold Standard 2012 Initiative, and a contributor to the ARRA News Service. This article first appeared in Forbes. Tags: Drudge, civics lesson, Janet Napolitano, Barack Obama, Ralph Benko To share or post to your site, click on "Post Link". Please mention / link to the ARRA News Service. Thanks!